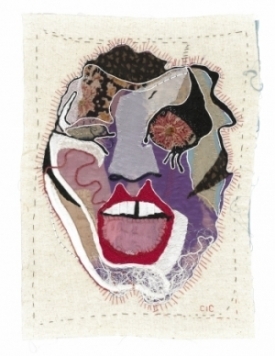 Clara Congdon is an emerging artist based in Montreal. 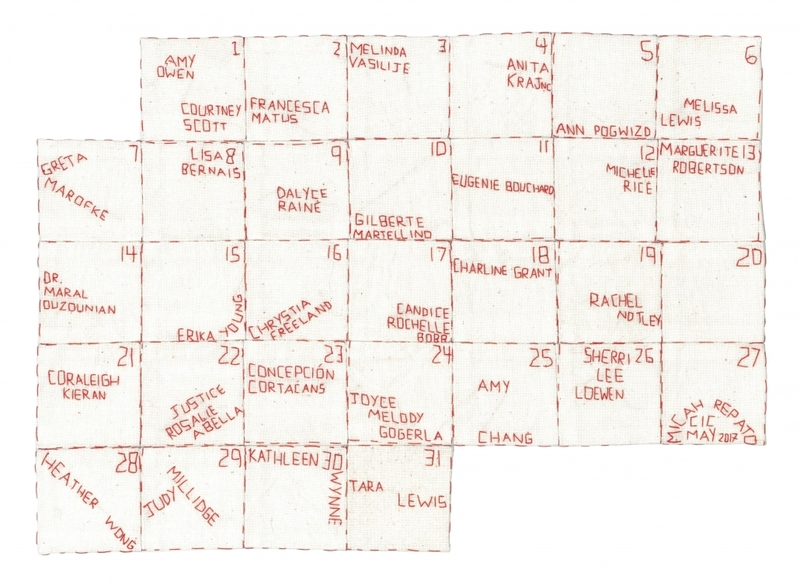 She makes tactile drawings and artists’ books exploring gender, media consumption and representation, and personal archives. 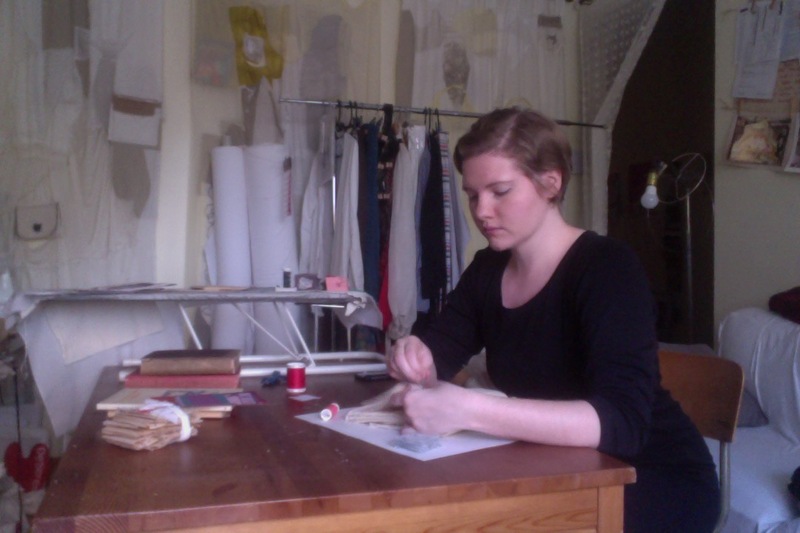 Congdon holds a BFA from NSCAD University, where she received the Margó Marshall Award for Textiles. Congdon has recently exhibited at the Anna Leonowens Gallery in Halifax, The Red Head Gallery in Toronto, and Galerie Monastiraki in Montreal. 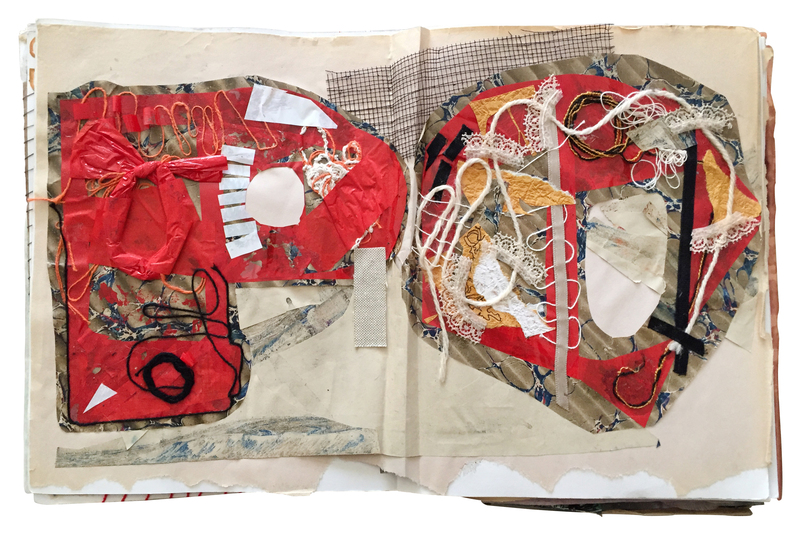 Her artists’ book “Want to buy some illusions?” is currently featured in Art of the Book 2018, a traveling exhibition of work by members of the Canadian Bookbinders and Book Artists Guild. 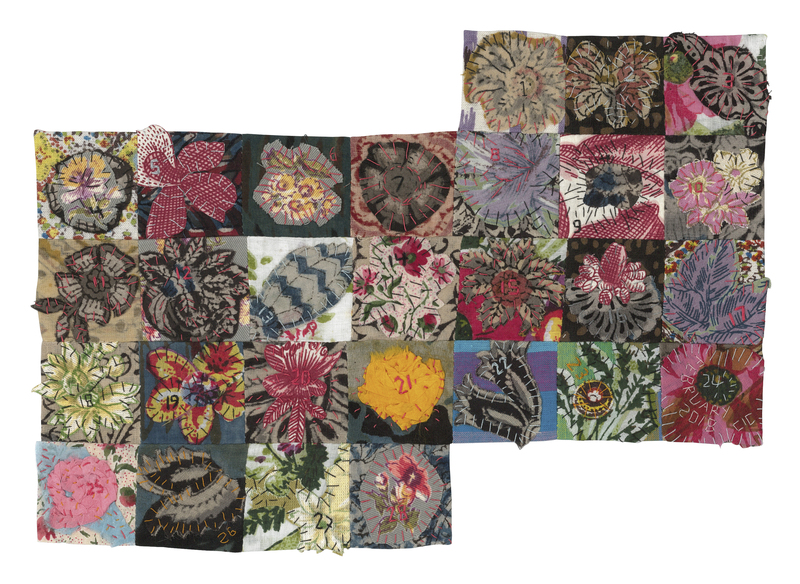 Embroidery and textiles are politically loaded media, traditionally seen as utilitarian women’s handiwork, and not historically given much artistic clout. 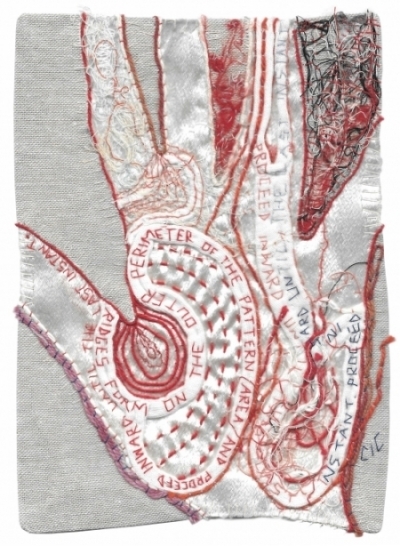 ELAN member Clara Congdon’s work fits within an experimental milieu that is still challenging the accepted norms of creating and exhibiting embroidery, quilting, and other textile-based arts. Congdon’s work also explores the form of the book as a conduit for unusual experiences of reading. 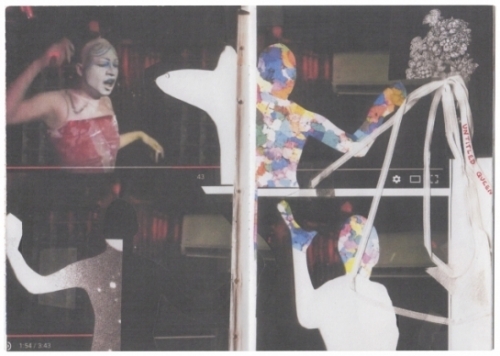 “Sussi”, Drag Portraits (left), and “L’oubli No. 2”, Sewn Bound, Cover: Inkjet, Pages: Laser, Colour. 2018 (right). Congdon’s hanging tapestry installation, entitled “Volume 1”, reflects the material items that were important for the artist. “In the way that you can tell what people value by what they take pictures of, I think you can also get insight into what a person values by observing what material objects they chose to hold on to.” Congdon’s work is informed by a diverse range of performing arts, comedy and costume design. She lists her inspirations as Louise Bourgeois, Faith Ringgold, Tracey Emin, Tschabalala Self, Kai Chan, Anna Torma, and drag artists. Her most recent work-in-progress is a zine titled You Betcha Iris, that profiles one Montreal drag performer per issue. “Proceed Inward Until the Last Instant” (left), and “L’oubli No. 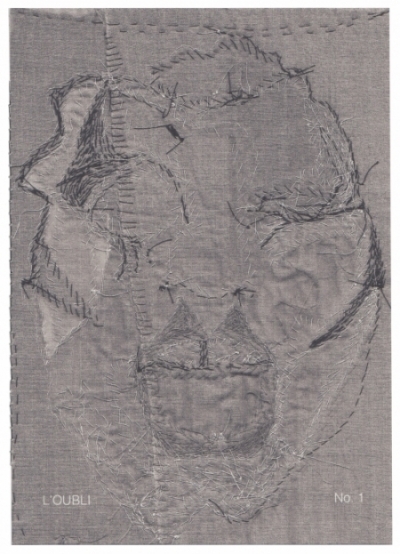 1”, Sewn Bound, Inkjet, Colour. 2018 (right).